How Likely Are You to Get into a Motorcycle Crash? Motorcycle riding can be exhilarating, but it also comes with well-known risks to riders. California motorcycle riders experience a higher crash rate and a far higher fatality rate when those crashes occur than do passenger vehicle drivers. Learn more about the crash rates of motorcycle riders below, and contact a Pasadena motorcycle accident lawyer if you’ve been hurt in a crash. Fatality and accident rates for motorcyclists vary each year, but one fact is consistent: motorcyclists bear a far higher risk of being hurt in a crash than do passenger vehicle occupants. The Insurance Information Institute reports that, in 2015, 88,000 motorcyclists were injured in accidents among the 8.6 million registered motorcycles on US roads. This means that there was an injury rate of 1,028 riders for every 100,000 registered motorcycles. In 2015, the fatality rate for motorcycle riders was almost 58 individuals for every 100,000 registered motorcycles. The National Highway Traffic Safety Administration found that, in 2017, motorcyclists had a fatality rate that was 28 times higher than passenger vehicle occupants. How Likely is a Motorcycle Crash? One of the leading factors in motorcycle crashes is identical to that of passenger vehicle crashes: Alcohol. 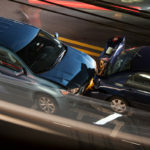 Drunk driving is a larger factor in motorcycle crashes than in any other form of accident. Researchers found that alcohol was a factor in about 25% of all fatal motorcycle crashes in the US in 2016, but in only 21% of all car accidents. Distracted driving is another factor that has led to an increase in motorcycle crashes as well as passenger vehicle accidents. In 2017, the average age of a fatally-injured motorcycle rider was 43, and many states report that their rider population is, on average, older than it once was. While rider experience is a critical factor in reducing crash risk, age can bring delayed reaction times or diminished vision, both of which can prove deadly for motorcycle riders. Weather and poor roadway conditions can also cause motorcycle crashes at higher rates than among passenger vehicles, since the narrow wheelbase of the motorcycle offers less stability than that provided by four wheels. Even when motorcycle riders are driving safely and intelligently, motorcyclists are simply less protected in the event of a crash without the all-around protection provided by a car. Despite the higher risks involved, motorcycle riders remain entitled to compensation for their injuries when other drivers or those responsible for roadway maintenance cause their injuries. 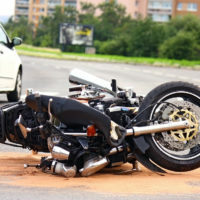 If you’ve been hurt in a Los Angeles county motorcycle crash, find out if you’re a good candidate to file a personal injury lawsuit by contacting the seasoned Pasadena motorcycle crash attorneys at the Law Offices of Andrew Ritholz for a consultation on your case at 626-844-7102.